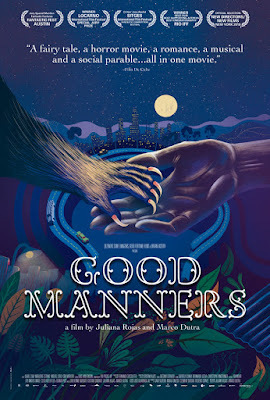 Distrib Films US announces the U.S. theatrical release of "Good Manners" (As Boas Maneiras) by the acclaimed directorial duo Juliana Rojas and Marco Dutra, a film that deftly integrates art-house and genre cinema to create a thrilling and dark gothic fable with sharp social commentary. Winner of the Special Jury Prize at the Locarno Film Festival, and a favorite in numerous international film festivals including New Directors/New Films, Sitges, BFI London and Fantastic Fest, the Brazilian-French co-production opened on July 27 at the IFC Center in New York City, opens on August 17 at the Laemmle Royal Theatre in Los Angeles, followed by other U.S. cities. Set in São Paulo, this second collaboration between filmmakers Rojas and Dutra (after Hard Labor, a Cannes Un Certain Regard favorite) follows Clara, a lonely nurse from the outskirts of the city who is hired by mysterious and wealthy Ana to be the nanny of her soon-to-be-born child. Against all odds, the two women develop a strong bond. But a fateful night marked by a full moon changes their plans. 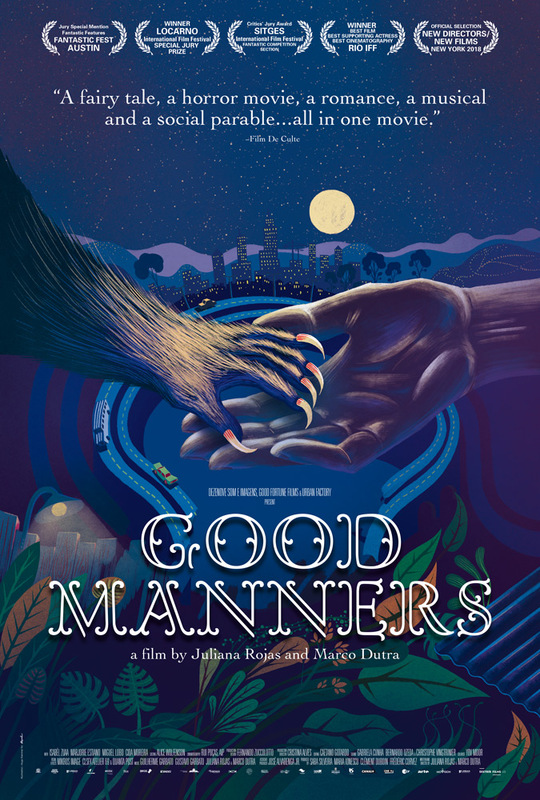 With powerful visuals and impeccable cinematography (by Zama's Rui Poças), "Good Manners" is Disney meets Jacques Tourneur. 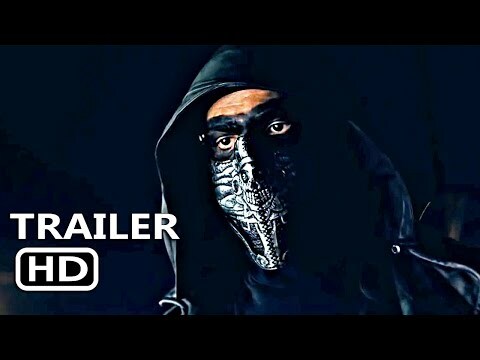 The film becomes an unexpected and wild werewolf movie unlike any other, and a poignant social and racial allegory on modern-day Brazilian society. Juliana Rojas and Marco Dutra received cinema degrees at the University of São Paulo. Their short film collaborations include The White Sheet (Cinéfondation, Cannes 2005) and A Stem (Discovery Award at Cannes Critics’ Week 2007). Their first feature, Hard Labor (Trabalhar Cansa), premiered at Cannes Un Certain Regard in 2011, and received the Citizen Kane Award in Sitges that same year. Juliana went on to direct the horror musical Sinfonia da Necrópole (FIPRESCI Award, Mar Del Plata Film Festival 2014) while also working as a writer for fictional series, including the second season of 3% (Netflix). Marco’s previous works include the horror When I Was Alive (2014), which screened at the Rome and Beijing Film Festivals, and the thriller The Silence of the Sky (2016),which competed in Tokyo, Huelva and Havana before opening worldwide on Netflix. He’s currently in postproduction on the HBO series, El Hipnotizador.